Home » Drug Testing News » What Is The “New” DOT Drug Test? What Is The “New” DOT Drug Test? Does the New DOT Drug Test Only Screen for 5 Drugs? Technically no, the new DOT 5 panel screens for 14 different drugs but it is still called a 5 panel DOT Drug test and should not be confused with any other type of test. For a detailed list of what the New DOT 5 panel Drug Test screens for, please review the list below. How Does The New DOT Rule Effect Employers, Collectors, Laboratories, Medical Review Officers (MROs) and Employees? 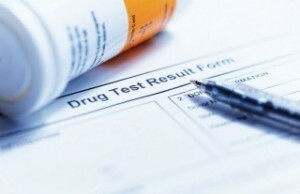 Employers will have to continue to provide the number of verified positive drug test results in each testing category (i.e., Marijuana, Cocaine, Amphetamines, Opioids, and PCP) on their annual MIS reports. All SAMHSA Certified Labs will continue to report to the MRO the specific drugs or drug metabolites they confirm as positive. Also, laboratories will add hydrocodone, hydromorphone, oxycodone, and oxymorphone confirmed positives, as appropriate. Medical Review Officers (MROs) will continue to report to employers the specific drugs / drug metabolite they verify as positive; and MROs will add hydrocodone, hydromorphone, oxycodone, and oxymorphone verified positives, as appropriate. Effective January 1, 2018, the Department of Transportation (DOT) regulations direct the medical review officer (MRO) on how to deal with a situation where a drug test is negative but the MRO gains knowledge of a prescribed medication. In some cases, this prescribed medication may or may not present a safety concern. The MRO is to utilize his/her “reasonable medical judgment” and if they determine that the medical information obtained indicates the employee is likely to be determined as medically unqualified to perform safety-sensitive duties under the applicable DOT agency regulation or if the employee is likely to pose a significant safety risk if they continue to perform safety sensitive functions, the MRO is required to report the information to the appropriate third parties without the employee’s consent (§40.327). Authorized third parties are limited to the employer, physician, or other health care provider responsible for determining the medical qualification of the employee under an applicable DOT agency safety regulation, a SAP as part of a return-to-duty evaluation, a DOT agency, or the National Transportation Safety Board as part of an accident investigation. The MRO when applicable will notate this safety concern on a negative drug test result. Employees should understand the changes to the 5 Panel DOT Drug Test and if you test positive for any of the semi-synthetic opioid drugs, the Medical Review Officer (MRO) will conduct an interview with you to determine if there is a legitimate medical explanation for the result. Individuals with a valid prescription should provide it to the MRO and they will determine if the prescription is valid. Also, if a legitimate medical explanation is established, the MRO will report the result to your employer as a ‘negative’. Otherwise, the MRO will report the result to your employer as ‘positive’. The new rule effective January 1, 2018, instructs that prior to the Medical Review Officer reporting your information to a third party you will have up to five business days to have your prescribing physician contact the MRO. Individuals should understand that they are responsible for aiding in the contact between the MRO and your prescribing physician to determine if the medication(s) can be changed to one that does not make the employee medically unqualified or that does not pose a significant safety risk before reporting the safety concern. employers may have a written DOT Drug and Alcohol Policy that requires you to report your prescribed medications to them. Employees should check with their employer about this requirement and if your job function has DOT-regulated medical standards (truck/bus driver, airline pilot, mariner), the specific DOT agency regulation may require you to report your prescribed medications to those who approved your medical qualifications. Employers should keep in mind that they should not be asking employees about their medical prescriptions or medical conditions but rather when a Safety Concern notation is received from the MRO, the employer should request the employee get a fit for duty exam and clearance to do their job from the prescribing physician or an occupational medicine specialist. The physician should review the job description, review specific employer concerns, and conduct a thorough medical interview and examination of the patient. The physician should provide clearance to perform the job or an explanation of work limitations. It is always a best practice to proactively deal with the potential issues prior to being called for DOT regulated drug test. This will likely prevent potential job disqualification, being temporally removed from your safety sensitive position or potential job loss for the DOT regulated employee. What Happens If I Test Positive On A Dot Drug Test? The new rule has not changed the consequences of a positive drug test result. Once an individual receives a positive drug test your employer must immediately remove you from performing safety-sensitive functions and provide you with a list of qualified Substance Abuse Professionals (SAP) available in your area. The only way to return to work and perform “safety-sensitive” functions for any DOT regulated employer, you must complete the return-to-duty process. This process includes an initial evaluation by a Substance Abuse Professional (SAP) and typically they will require education and/or treatment. To Schedule a DOT drug test, enroll into a consortium or for a DOT Physical click our express checkout button below!